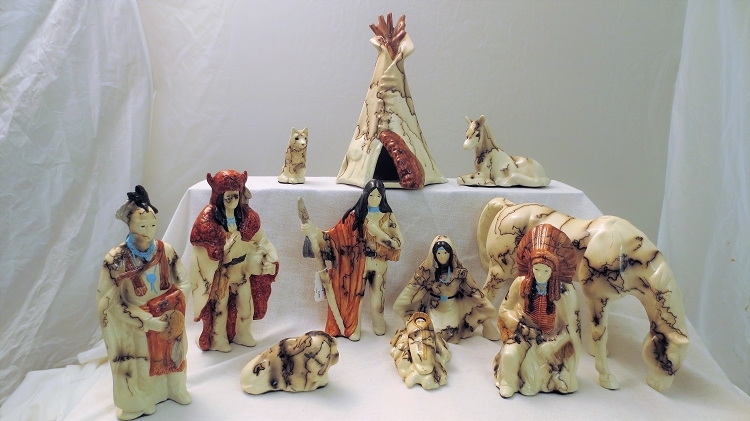 Horse hair pottery is made by using hair from the tail and mane of a horse. It is fired using a special technique. This process is very hazardous and time consuming. Fine lines are created with the hair from the mane of the horse. The thick lines are created from the hair of the tail.